Chen, A., Pravinvongvuth, S., Xu, X., Ryu, S., and Chootinan, P. (2012). “Examining the scaling effect and overlapping problem in logit-based stochastic user equilibrium models.” Transportation Research Part A, 46, 1343-1358. Pravinvongvuth, S., and Loudon, W. (2011). “Development and Application of the First Large-Scale Hybrid Meso-Microsimulation Model in Practice.” The 90th Annual Meeting Transportation Research Board, Washington, D.C.
Chen, A., Pravinvongvuth, S., and Chootinan, P. (2010). “Scenario-based multi-objective AVI reader location models under different travel demand patterns.” Transportmetrica, 6(1), 53-78. Loudon, W., Mauch, M., and Pravinvongvuth, S. (2009). “Transportation data mining for integrated corridor systems management projects.” Presented at The TRB Integrated Corridor Systems Management Modeling Best Practices Workshop, Irvine, California. Pravinvongvuth, S., and Loudon, W. (2009). “A hybrid meso-microsimulation model for corridor system management plans.” Presented at The 12th TRB National Transportation Planning Applications Conference, Houston, Texas. Chen, A., Pravinvongvuth, S., Chootinan, P., Lee, M., and Recker, W. (2007). “Strategies for selecting additional traffic counts for improving O-D trip table estimation.” Transportmetrica, 3(3), 191-211. Pravinvongvuth, S., Chootinan, P., and Chen, A. (2005). “Analysis of automatic vehicle identification reader locations under different travel demand patterns.” The 84th Annual Meeting Transportation Research Board, Washington, D.C.
Chen, A., Chootinan, P., and Pravinvongvuth, S. (2004). “Multiobjective model for locating automatic vehicle identification readers.” Transportation Research Record, 1886, 49-58. Chen, A., Chootinan, P., and Pravinvongvuth, S. (2004). “An evolutionary approach for finding optimal automatic vehicle identification reader locations in transportation networks.” The 2004 Congress on Evolutionary Computation, IEEE Service Center, 1, 181-187, Portland, Oregon. Chen, A., Pravinvongvuth, S., and Chootinan, P. (2003). “A two-dimensional simulation technique for quantifying the uncertainty of a combined travel demand model.” Proceedings of the 4th International Symposium on Uncertainty Modeling and Analysis (IEEE-ISUMA), College Park, Maryland, Edited by Bilal M. Ayyub and Nii O. Attoh-Okine, IEEE Computer Society, 367-372. Development of EXAT ITS Center and ITS Corridor (ITS Phase 2), Secretary of Approval Committee, Expressway Authority of Thailand, 2013. Installation and Assessment of ITS Pilot Corridor (ITS Phase 1.5), Secretary of Procurement Committee, Expressway Authority of Thailand, 2012. Assessment of Speed Enforcement Strategies, Chairman of Approval Committee, Expressway Authority of Thailand, 2012. Development of Expressway Traffic Signs Standard, Chairman of Procurement Committee, Expressway Authority of Thailand, 2012. Development of EXAT Intelligent Transportation System Master Plan (ITS Phase 1), Secretary of Approval Committee, Expressway Authority of Thailand, 2011. Caltrans US-101 Corridor System Management Plan, Consultant, 2010. For the California Department of Transportation (Caltrans), Dr. Pravinvongvuth led the technical part of a million-dollar task force to develop the first large-scale hybrid simulation model in practice. He developed a hybrid modeling methodology and presented at the 12th TRB National Transportation Planning Applications Conference. The proposed methodology was later successfully applied to a 50-mile long corridor along the US-101 in Santa Barbara and Ventura Counties. Parallel arterials, connectors, and State Routes within the range of 4 miles were also included in the simulation model. Various sound techniques were applied in supporting this advanced modeling work including: applying an equilibrium-based dynamic traffic assignment (DTA); integrating regional travel demand forecasting models with the hybrid simulation model; applying origin-destination matrix estimation (ODME) with strategic counting locations, weights, and constraints; and making the best use of Google Earth and geographic information system (GIS) to deliver understandable results. FHWA ICM Tools, Strategies, and Deployment Support, Consultant, 2008. For the Federal Highway Administration (FHWA) Office of Operations, Dr. Pravinvongvuth assisted in the analysis, modeling, and simulation (AMS) activities within Phases 2 and 3 of the technical integration aspects of the Integrated Corridor Management (ICM) Initiative. These activities are the foundation and support for the ICM Pioneer Site Demonstrations. FHWA NGSIM Additional Arterial Data Processing, Consultant, 2006. For the Federal Highway Administration (FHWA), Dr. Pravinvongvuth assisted in collecting and processing vehicle trajectory data from an arterial roadway for use in the development and validation of simulation models in support of the Next Generation Simulation (NGSIM) program. The dataset was accompanied by summary analysis of the data and supporting information on influencing factors. NSF Integrated Transportation Network Reliability Analysis Framework, Research Assistant, 2003. 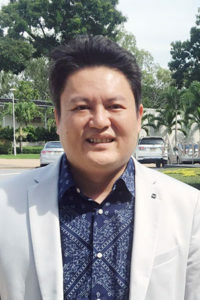 For the National Science Foundation (NSF), Dr. Pravinvongvuth participated in the development of an integrated transportation network reliability analysis framework. As part of the effort, he developed a paired combinatorial logit model for route choice. Certificate of Achievement “Evaluation of Speed Enforcement Strategies, a Case Study of Bangkok”, National Research Council of Thailand (NRCT), 2013. Nominated by the Dean of the College of Engineering, Utah State University, for membership in the nation’s oldest, largest, and most selective all-discipline honor society, Phi Kappa Phi, 2007. The Hong Kong Society for Transportation Studies (HKSTS) Outstanding Student Paper Award, 2004.